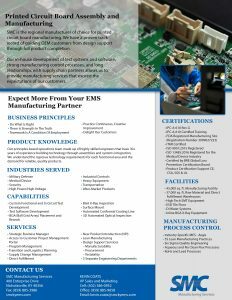 SMC is the regional manufacturer of choice for Systems Integration and Printed Circuit Boards. 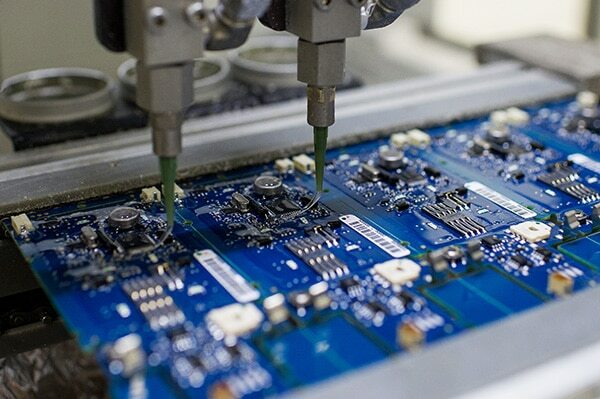 We can meet your manufacturing needs whether they relate to manual assembly or automated systems, and have in house development of test systems to ensure reliability of the end product. Our operations team is made up of highly skilled process, customer, and test engineers that have 30+ years of experience building technology through assemblies. 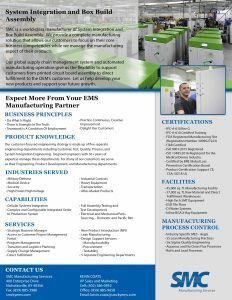 We understand the rigorous technology requirements for each functional area and the demand for reliable, quality products.